Let me first say,”I love the great state of Wisconsin.” I love the rolling farmlands, the abundant wildlife, the varied seasons, and many , many, more fabulous amenities. 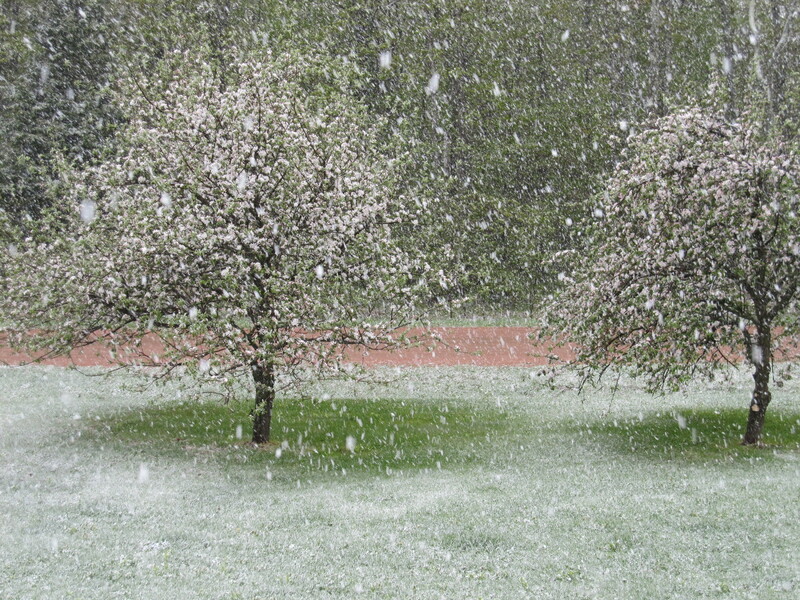 What i do not so much care for is the fact that snow has occurred every month of the year except August. I can usually put this out of my mind, but occasionally in creeps back in, like it did last Friday. I was happily dyeing away when I glanced out the window and much to my horror,SNOW!! It came down off and on until it finally changed to all snow. In the end we had way to many inches of a very heavy, wet mess. The electric went out briefly and we had to shovel off the porch. Even the dogs were disgusted. From that we have gone to temps in the high 70’s to mid 80’s. That my friend is quite a shock to the system. Not to mention my very pregnant feet, who revolted at the fact that I decided to take advantage of the finally warm weather and get my garden up to snuff. They promptly expanded to twice their original size. I couldn’t even get my flip-flops on for heaven’s sake. Did I fail to mention that they started their race to out measure my calves at my knitting meeting at Barnes and Nobles. Try getting out of there bare-foot (and pregnant) with your dignity intact. I will forever hold firmly to my delusion belief that I pulled it off with dignity and grace. So fresh from that experience I have decided that pacing myself is a good plan for the next 8 weeks. I’ve been busy catching up on my knitting projects. 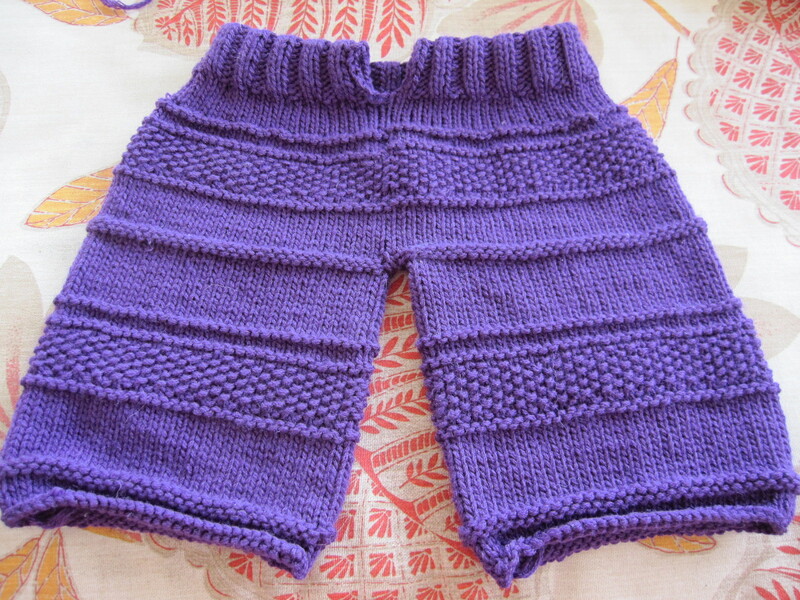 I finished the Kanoko pants. I love these so much I wanted a sweater to match, so I’ve started that. 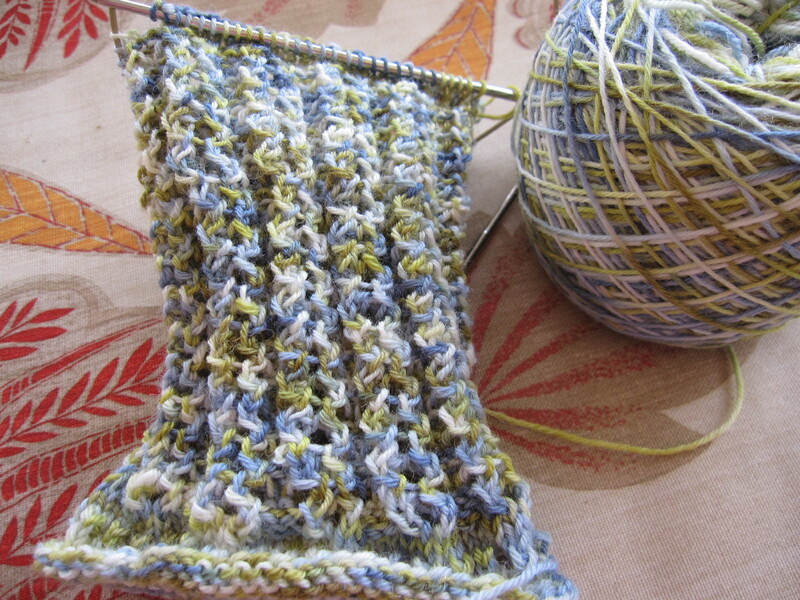 I”ll post that pattern when I have it done. I plan to use these to bring baby-boo home from the hospital. Than I got the leg, and started the heel flap on my as-of-yet unnamed sock. This will also be posted when I finish it also. 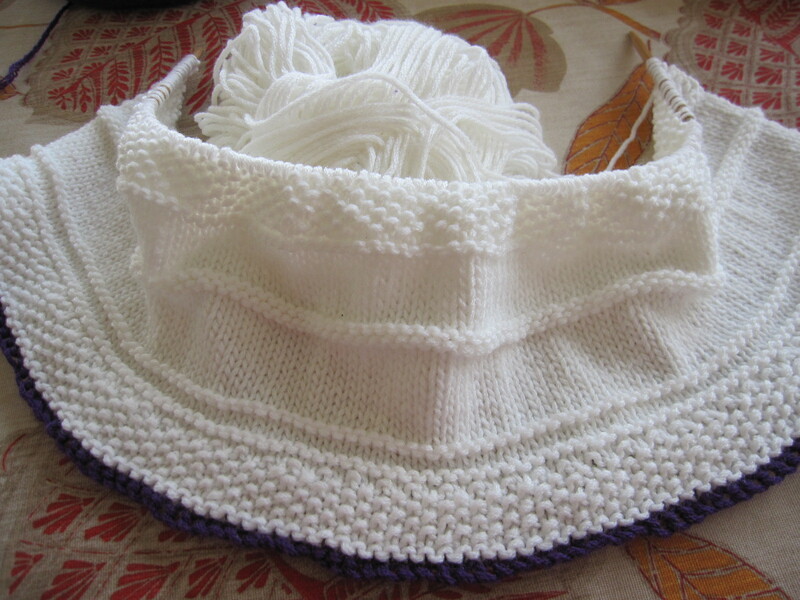 It’s a fairly simple pattern, with a four row repeat, but has the added appeal of looking more difficult than it is. You gotta love that.